La Leche League of Minnesota and the Dakotas 2016 Conference was a big success! Enjoy our slideshow below. The purpose of the activity is to enable the learner to expand their support toolbox when supporting breastfeeding families and their babies. Specifically they will build their skills to help the non-latching newborn, breastfeeding babies who suffer from reflux and GERD, babies with abnormalities that affect their sucking abilities, adopted babies, surrogate families and other "outside the box" situations. Learners will also discover how craniosacral therapy can be used to support the breastfeeding dyad, and deepen their ethical understanding with a look at the WHO Code for the Marketing of Breast Milk Substitutes. This year, we welcomed Catherine Watson Genna, LLLL, BS, IBCLC as our featured speaker. In addition to speaking, (on 4 continents so far) conducting research, and writing, Catherine maintains a busy private lactation consulting practice. An LLL Leader for 25 years and IBCLC for 23, she believes that clinical expertise must go hand in hand with empathy and compassion for breastfeeding dyads. Her teaching grew out of a strong desire to understand the science underlying breastfeeding and lactation in an effort to find solutions to her clients’ difficulties. 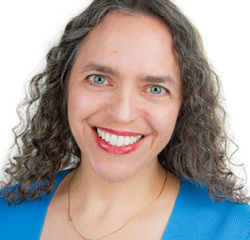 Though many of her offerings are designed as continuing education for experienced lactation consultants and health care professionals, her repertoire includes talks for peer helpers as well. A visual learner herself, Catherine illustrates her often technical topics with clinical photographs and videos. Catherine makes her home in Queens County, New York City with her husband Dave. They both enjoy the company of their adult son and daughter.